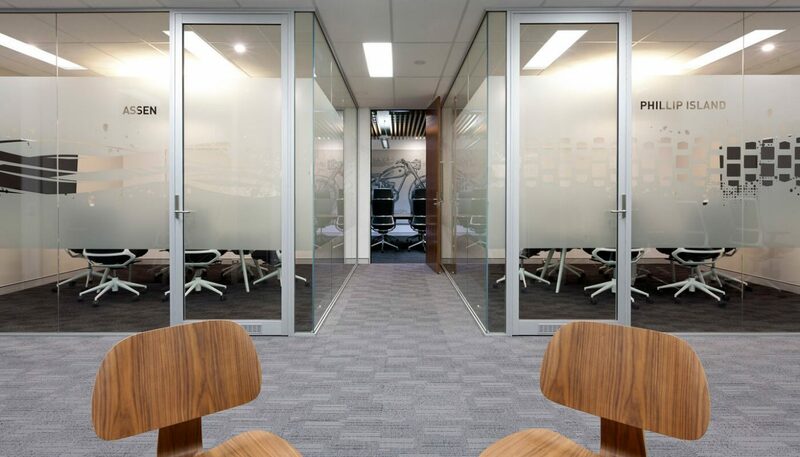 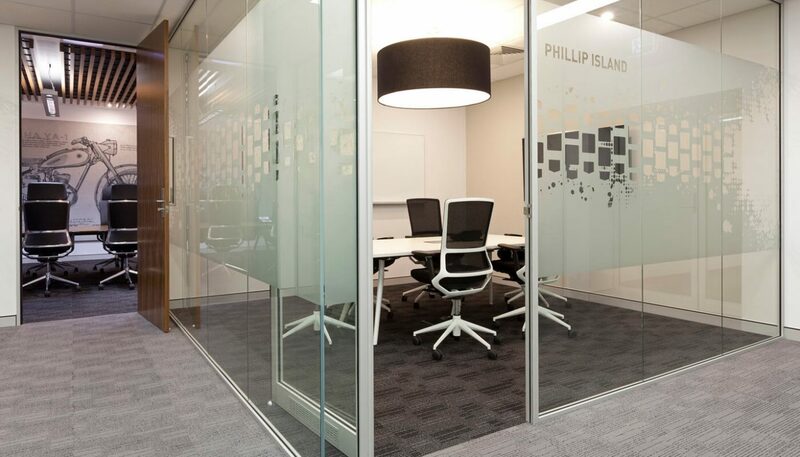 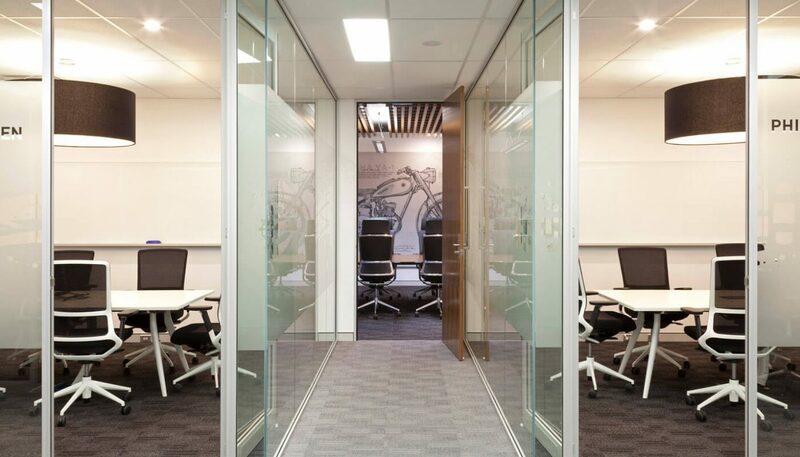 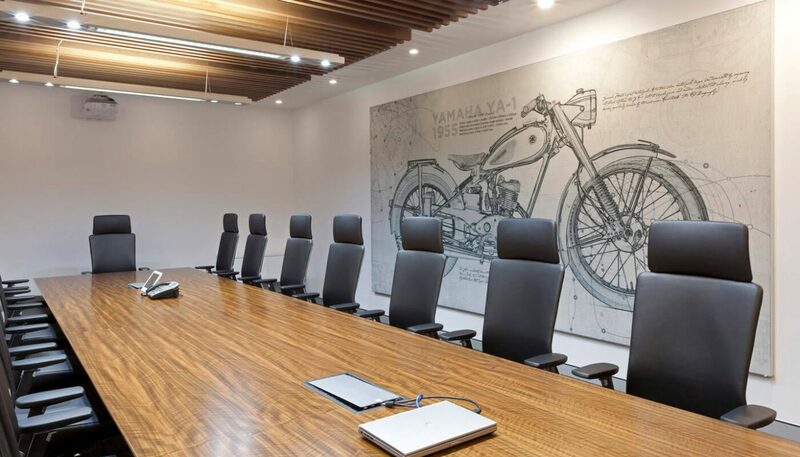 Yamaha Motors administration division added in a large executive zone comprising of a board room, two smaller meeting rooms, two quiet rooms and an informal collaboration zone; while also refurbishing a storage zone. 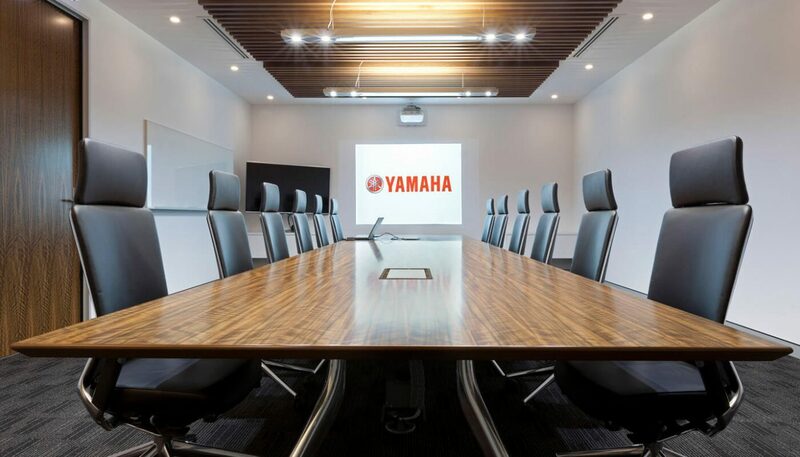 The executive zone will be used to support staff and international teams and visitors, with the executive boardroom boasting video conference facilities to be used for international conferences. 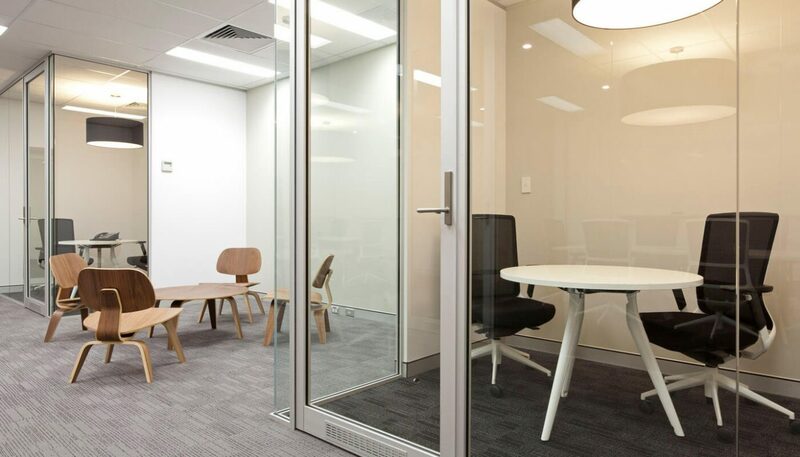 Custom lighting and joinery work to complement the feature timber blade ceiling and timber veneer table in the boardroom.